Apple has turned its back on cable companies and is once again courting television programmers in a bid to bring live television content to the Apple TV, a Wednesday report suggests, with talks reportedly in the "early stages." Apple's new plan would be similar to Dish's Sling TV offering, according to Re/code. Sling TV, which remains in a private beta, bundles channels including ESPN and TNT for delivery over the internet to mobile devices or some set-top boxes for $20 per month. While Apple has reportedly demonstrated its proposed service to content owners, details such as pricing and timing "aren't close to being ironed out" and the company apparently has yet to contact many content owners. Apple is believed to have explored this strategy before. In 2013, the company began negotiations with ESPN, HBO, and Viacom about a similar service, and was reportedly willing to go as far as to become a virtual cable company itself. At various times, Apple has also been in talks with cable companies. 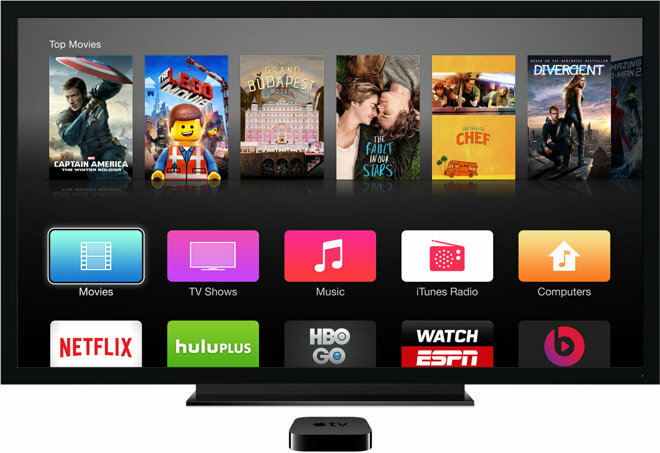 A string of reports in late 2013 and early 2014 suggested that Apple and Time Warner may be close to unveiling a partnership that would give Apple TV buyers access to Time Warner's cable services over the internet, but that plan is thought to have ended following Comcast's Time Warner takeover.